So far, at least, the third season of Under The Dome is a much more streamlined, competent piece of storytelling than its predecessors. Its arc is derivative as hell, but at least it exists: There’s a shape to the narrative rather than a desperate flailing from one direction to another. Whether this actually constitutes an improvement rather than a lateral move is still up for grabs. It’s not as if the writing and the acting have improved all that much, but they’re now in service of something more…normal. But is that really what we want from our Dome? That’s not to say the show has completely abandoned its nuttier side, not in an episode where Big Jim slices open mad scientist Frank Whaley’s neck with an onion dip lid. For the most part, however, “Caged” follows a predictable pattern. There are those who are not under Christine’s sway (Big Jim. Julia, Joe, and Norrie) and there’s the Kinship, and the tension between the two is mounting. Even Norrie’s infrequently appearing mother Carolyn (Aisha Hinds) has fallen under the sway of the new Chester’s Mill hive mind (complete with eerie group whistling). She finds the X-ray machine that reveals Hunter will be permanently paralyzed as a result of his fall from the roof and thus become a drain on the community medicine. He’s gotta go (and at this point, I think most of us would have been fine with that), but Julia, Joe, and Norrie rescue him from lethal injection at the last minute. There’s still plenty that doesn’t work, starting with the Julia/Barbie/Eva triangle. The deck has been stacked here since the beginning, both because Barbie and Julia have a longer shared history (from our perspective, anyway) and because Eva is, you know, an evil alien or something. (I imagine if Barbie knew about Eva’s suggestion that both women could be with him if only Julia would join the Kinship, it would complicate matters for him.) Junior’s reversion to villainous creep isn’t so effective, mainly because that’s how we’ve already thought of him for most of the show’s run. And Uncle Sam remains a dreadful character with no real purpose; he’s way overdue to make a huge sacrifice for the town and be off the show for good. 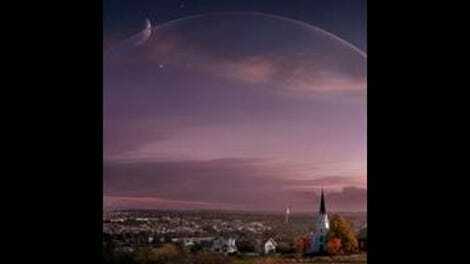 Frank Whaley was an amusingly cartoonish addition for one of Under The Dome’s patented three-episode guest arcs, but Aktaion’s interest in the egg as an energy source always felt like a retcon that had been shoehorned into the increasingly sprawling dome mythology (ditto the revelation that it was Christine’s initial discovery of the egg that caused the dome to appear). Their presence inside the dome was never adequately explained (Did they come in via the root cellar in Dale’s father’s back yard?) and now it appears their part of the story is over anyway. Even a version of this show that makes slightly more sense still can’t help leaving loose ends and red herrings at every turn. I wonder if an actor like Aisha Hinds, who is only around for a handful of episodes each season, has any idea what’s going on when she gets the script for her next appearance. It’s probably confusing enough for the regulars, but if you’ve been away a few weeks and then find out your character is now a drone in an alien-controlled collective…I guess you just go with the flow. The episode ends with the biggest cliffhanger yet. WHERE’S INDY? Nothing bad better happen to that dog. Next week: The entire world outside the dome is destroyed. Maybe? That would definitely put a damper on the whole “getting out of the dome” thing.